Clock Trivia - "My Grandfather's Clock" was first published in 1922. These renditions are sung by Tennessee Ernie Ford, Johnny Cash, and Burl Ives. Tennesse Ernie Ford - The booming baritone voice of Tennessee Ernie Ford was best known for his 1955 cover of Merle Travis' grim coal-mining song "Sixteen Tons," watered down by the dulcet strains of a Hollywood studio orchestra but retaining its innate seriousness thanks to the sheer power of Ford's singing. 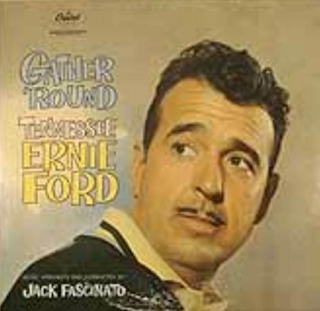 But there was more to Tennessee Ernie Ford than that. Over his long career, Ford sang everything from proto-rock & roll to gospel, recorded over 100 albums, and earned numerous honors and awards, including the Presidential Medal of Freedom, the nation's highest civilian award. His popularity and recognition transcended country music, and he was among the earliest and most successful "crossover" artists to come out of country music. Most of my service calls are within the Denver metropolitan area. Every once in a while I get to travel out of town. This particular call was south of Castle Rock almost to Larkspur. Located in the wide open spaces of the front range. I feel lucky to be able to travel to new and interesting places. Here are some pictures of these wide open spaces.